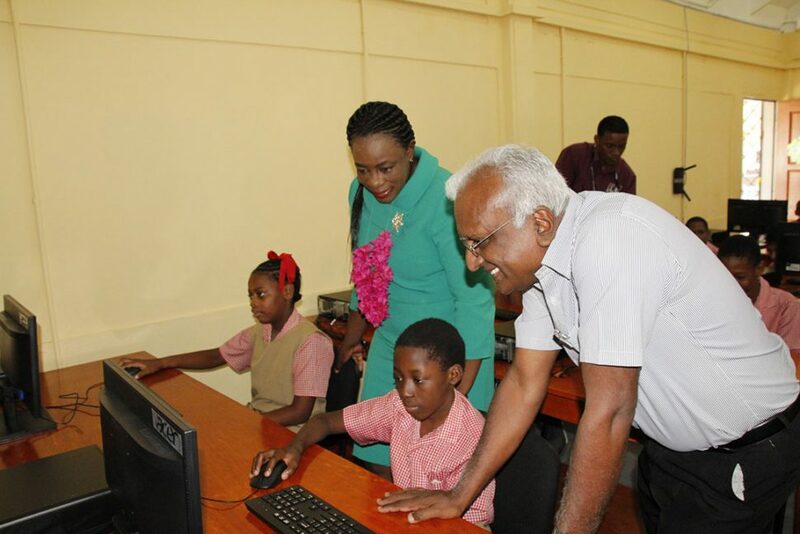 The Ministry of Education yesterday commissioned two new IT laboratories at the Eccles and Tucville Primary Schools. Education Minister, Dr Nicolette Henry said that in addition to the two labs commissioned yesterday, 95 primary schools had benefited from IT labs in 2017. According to a Ministry of Education release, she said that Information Technology must be provided in all schools and that plans are being made for additional schools to be equipped in 2019. She added that the Ministry of Education in collaboration with the Organisation of American States and the ProFutoro Foundation will be introducing digital classroom tools such as tablets, laptops and learning systems to 28 primary schools in regions one, four and 10 beginning later this year. “This will allow for more personalised learning for pupils in ICT. Teachers will be able to track student progress and respond to the changing learning needs of each student”, she said, according to the press release.